SOLO MUSEUM TOUR: 2017-2019 Solo Museum Tour  My Tennessee Home: The Paintings of Camille Engel  depicting the Tennessee State Symbols. The Bearded Iris (Iris Germanica) is the Tennessee State cultivated flower. This is one of five paintings from the Southern Flora Installation in Nashville's Int'l. Airport. 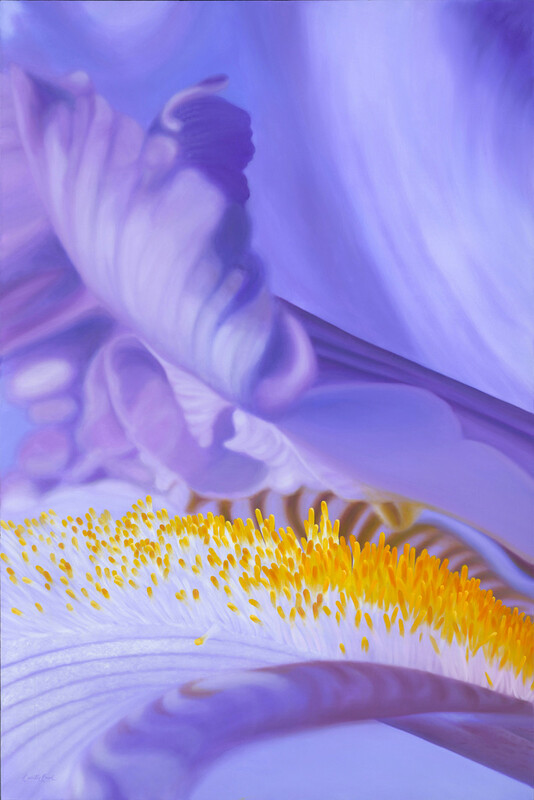 A contemporary realism still life floral painting depicting a macro view of a purple Bearded Iris.